Unlock your inner barbeque master with these three flavor filled salts that are sure to wow your tastebuds! These grilling favorites come in convenient stackables, making them perfect to travel with and store without a mess. HICKORYWOOD SMOKED SEA SALT�-�We created our Hickory Smoked Sea Salt in honor of BBQ lovers. 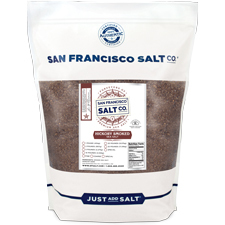 Perfect for BBQing and grilling, our Hickory Smoked Sea Salt is a staple in the seasoned BBQ master's pantry! To create this bold salt, we slowly smoke our Pure Pacific Sea Salt over a real Hickorywood Fire;�the result is a bold, savory, smoky salt with a delicious Hickory aroma. SRIRACHA SEA SALT�-�We created Sriracha Sea Salt to satisfy the cravings of heat�connoisseurs! The perfect finishing salt, this salt promises to fire up your taste buds! 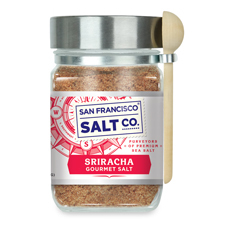 To recreate the iconic Sriracha flavor in salt form we infuse Pacific Ocean Sea Salt with ground Chimayo Pepper, Habanero Pepper, and garlic powder! Be careful, the heat will catch up to you! 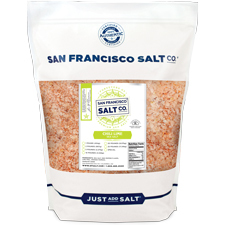 CHILI LIME SEA SALT -�Let Chili Lime Sea Salt tingle your taste buds.�Pacific Ocean Sea Salt is infused with Red Chili Pepper Flakes, Lime Peel, and Sweet Smoked Paprika to create a�spicy, smoky�delight. This salt has just the right amount of heat to compliment guacamole, salsa, corn, rice, and much more! 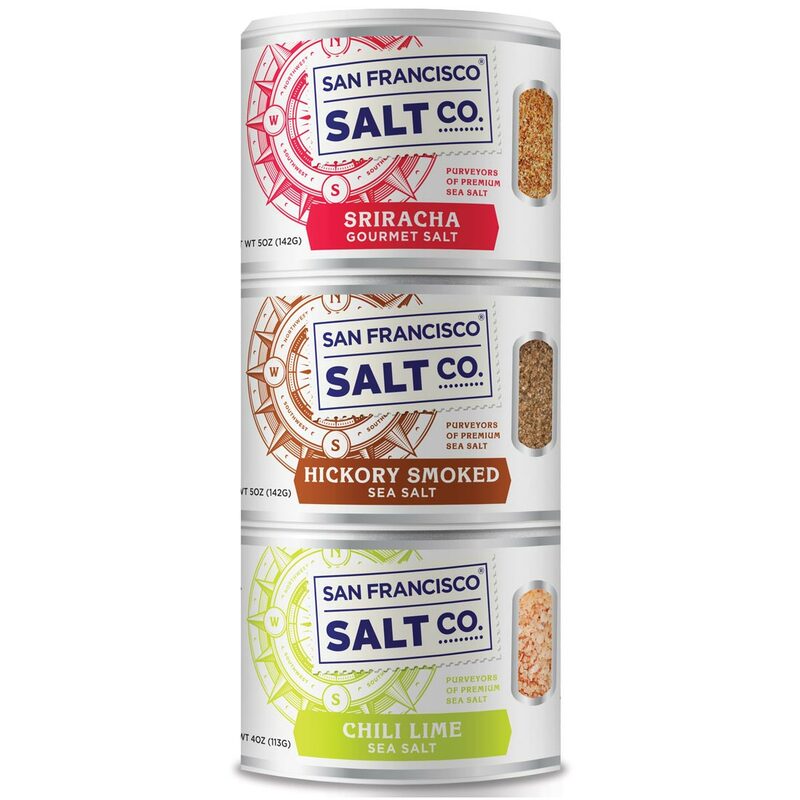 DESCRIPTION�- One stackable shaker of each of these popular and highly versatile salts: Hickory Smoked Salt, Sriracha Salt and Chili Lime Sea Salt. 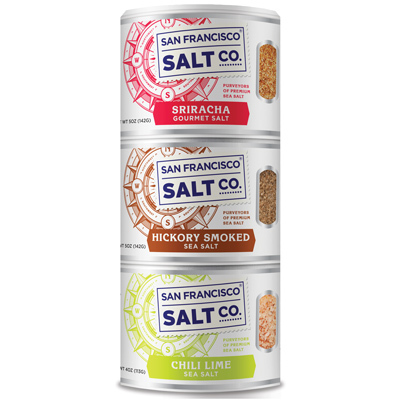 PROPERTIES�- Our 100% natural Hickory Smoked Salt, Sriracha Salt, and Chili Lime Sea Salt are�non-GMO and do�not contain any MSG, Soy, Gluten, Dairy, anti-caking agents, artificial colors, or additives.�We import only the highest quality food-grade salts straight from the source and package them in our U.S.A., GMP certified packaging facility, which is 3rd party audited by SCS Global. NET WEIGHT -�Sriracha Sea Salt 4�oz;�Chili Lime Salt 4 oz;��Hickory Smoked Salt 5 oz. INGREDIENTS�- Hickorywood Salt: Smoked Sea Salt;�Sriracha: Sriracha Spices (Proprietary blend of chimayo pepper, habanero pepper, garlic, and citric acid for flavor), Pacific Ocean Sea Salt; Chili Lime Sea Salt: Sea Salt, Chili Pepper, Lime Peel, and Sweet Smoked Paprika. SHELF LIFE�- Chili Lime Salt: 5 years; Hickorywood Salt: 10 years; Sriracha Sea Salt: 5 years.